Just at this very moment, we have lost our electric power in Katy. 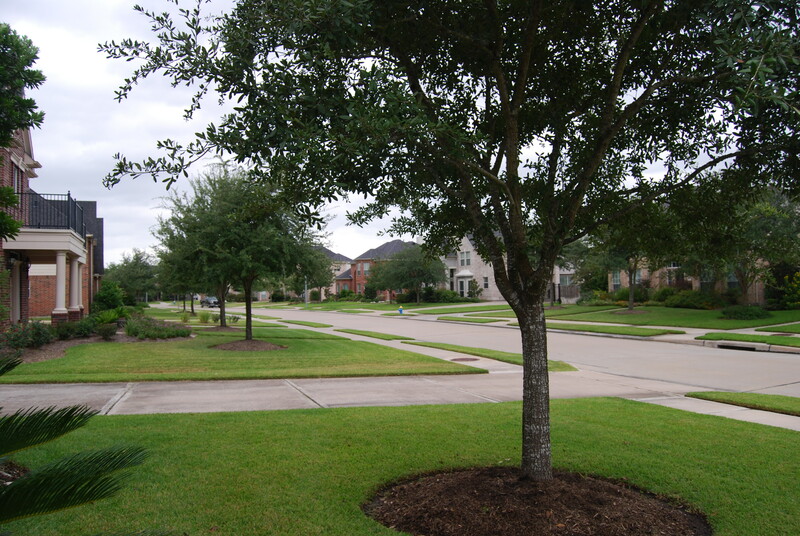 We are in Grand Lakes so I do not know if this is area wide or just our street. 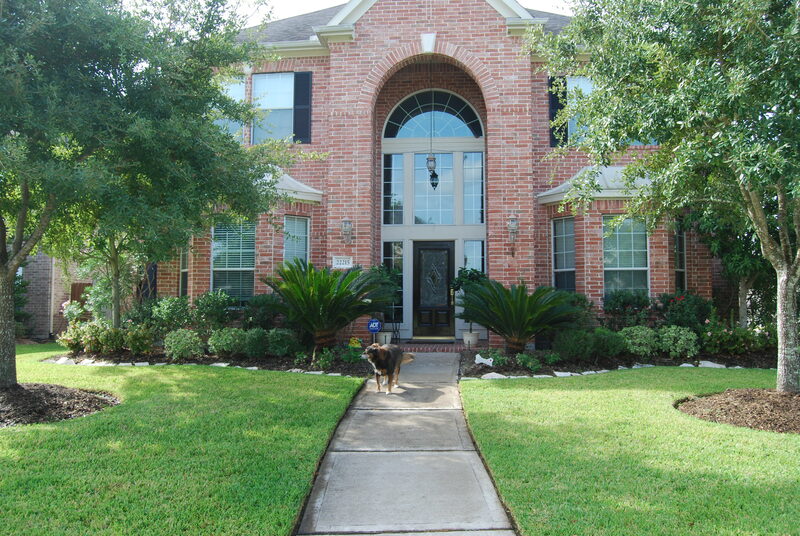 I would appreciate reports from other areas in West Houston. At this time, the gusts have increased but there are still periods of calm. 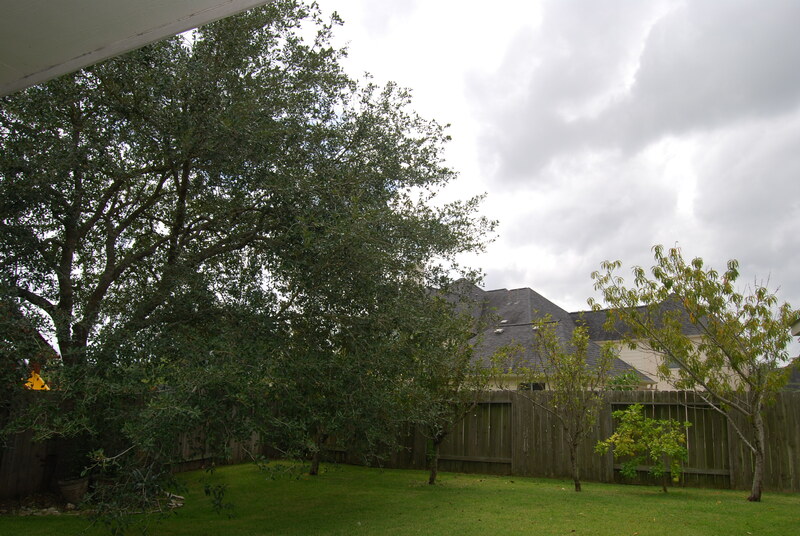 The skies are cloudy and you can now feel the effects of the first wave of outer bands of hurricane Ike. The still shots do not really show the movement of the vegetation but we are starting to realize that a storm is truly coming our way. 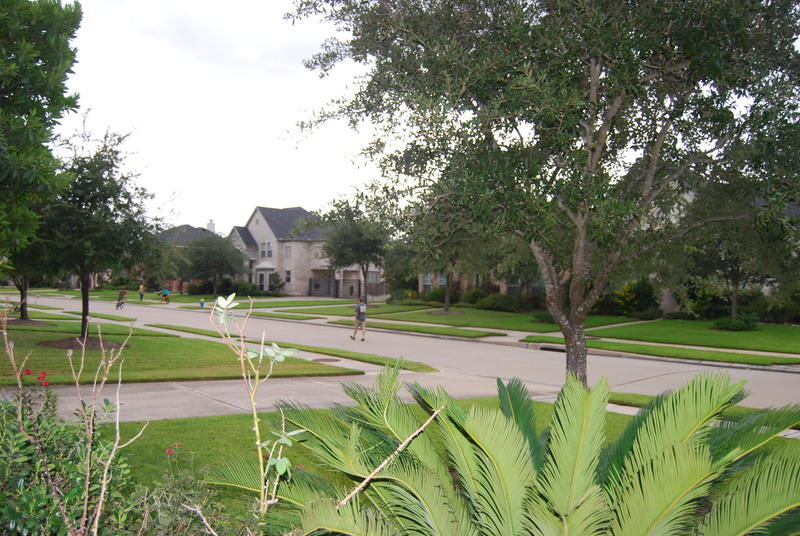 As you can see, there are a few kids riding bikes and parents watching closely but for the most part, all is quiet in Katy, TX. I will make another update within the next two hours as I expect our conditions to certainly deteriorate quickly. I will keep my updates short as I will be working off of limited battery power. I just heard that Mayor White is predicting that there will be over 125,000 homes damaged or destroyed and over $ 81 Billion dollars in damage. Many are feeling that the warnings being issued from the Homeland Security offices as well as the Hurricane Center are the most dire in decades so we must be very mindful that this will indeed be different from Rita and more recently, Gustav. I would love to hear how others are doing in the Great Houston and Galveston areas. Please keep us informed as to the storm affects in your area. If you power is still on, charge all cell phones, laptops, Ipods, etc. Yes, the wind is picking up but not as quickly as I had anticipated. 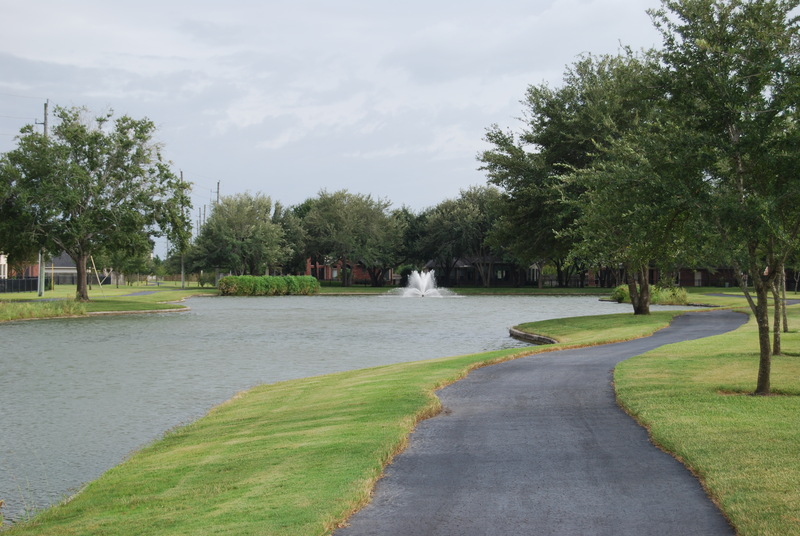 In looking at the photos of the “lake” (okay, it is really a retention pond but we call them lakes in Katy) outside of my home, you can see the chop is minimal. I will most likely update more frequently as the conditions deteriorate. For now, gusty breeze and intermittent clouds are all we have at the moment. Still waiting for Ike to make his appearance in the West Houston region of coastal Texas. As you will see from the two photos, the skies are darker but all is still calm. We are receiving the occasional breeze but otherwise, business as usual in the area for this time of year. I will keep posting comments and photos as the storm reach our area and Ike makes landfall. I anticipate we will lose power and possibly internect connectivity but will continue to keep you posted as long as I can. Take care, say a prayer and be safe. 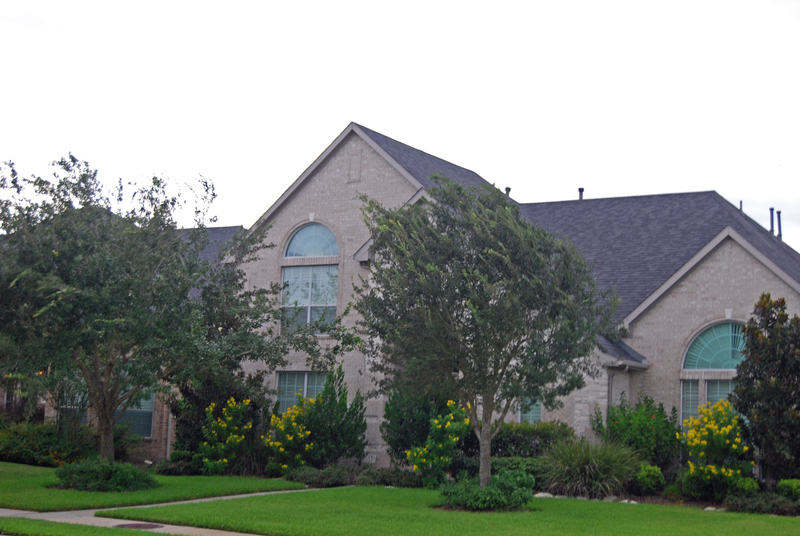 Hurricane Ike… is this the big one for Katy/West Houston? 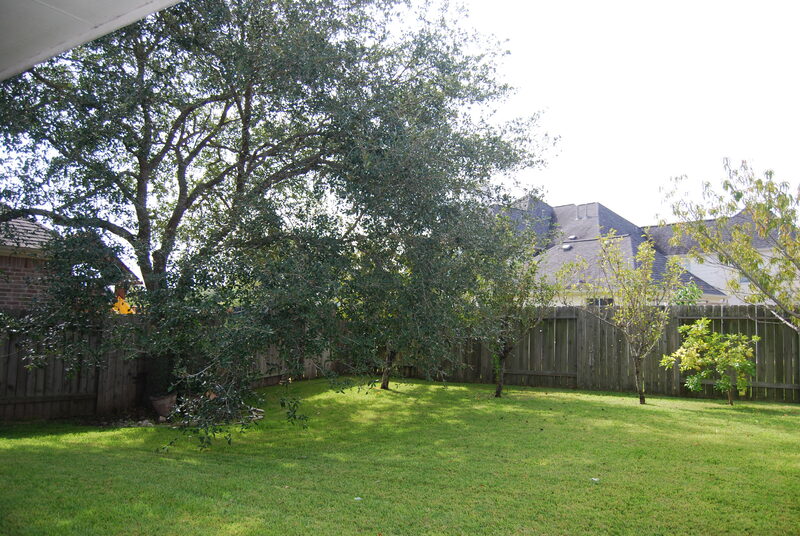 As we decide to “hunker down” and ride out the storm, at the moment in Katy, TX, it is a sunny, beautiful day. However, businesses and schools are closed, gas tanks are full, water and food supplies are stocked and all we can do now is wait. 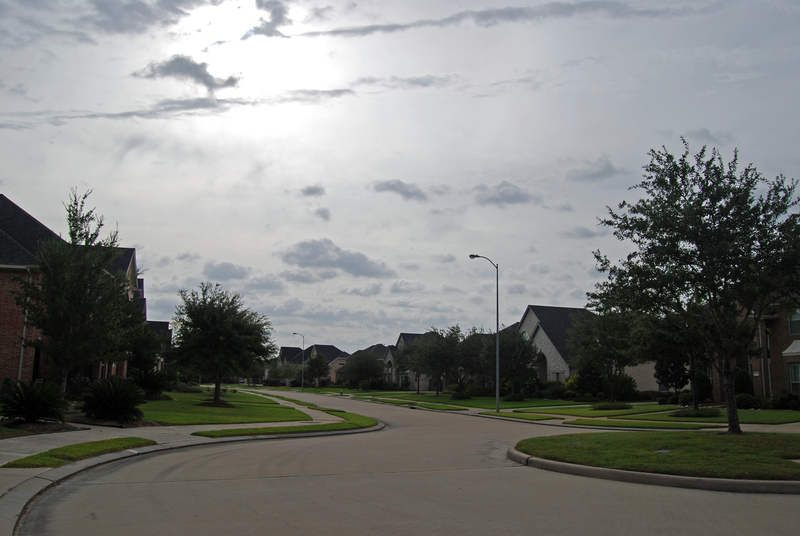 A very eerie calm surrounds us in our neighborhood of Grand Lakes – which feels completely deserted. Today is our rare version of a “snow day” – so where are the children? Where is everyone? Have they all left town? Should we follow their lead? The Mayors of Houston and Galveston have issued mandatory evacuation orders for residences in low lying areas, but the Katy/West Houston area is about 45 – 60 miles from the point of landfall (wherever that may be) and our issues will most likely come from high wind and flying debris. We are fortunate to have a good, strong drainage system (hence the lakes of Grand Lakes) so we are ever hopeful that flooding will not be a major concern. 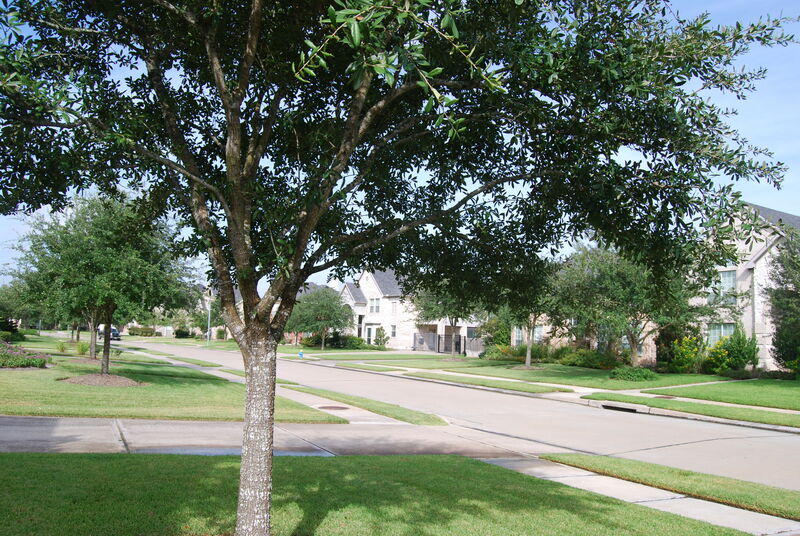 Debris could, in fact, be a big issue as we are a relatively new area and our trees do not have the deep root system that may be needed to keep them in the ground. Also, our homes (while built well) do not have hurricane clips and other construction features to prevent damage from catasrophic wind speeds. One day our building codes will have to be updated to include these items, but that is certainly a discussion for another day. Three years ago, we loaded up the kids and dog to evacuate for Rita and ended up stranded in the 9 hour parking lot, otherwise known as Interstate 10, on the way to Austin. Meanwhile, my neighbors who stayed behind had a few minutes of light sprinkles,a few mild gusts, no loss of power and enjoyed a lively block party in honor of those foolish enough to have left. The question we deal with now: Will we be so lucky with Ike?